One of my friends sent me this photograph. I believe this picture is courtesy of Chris Ward. It was found at http://web.ukonline.co.uk/steve.warren/frames.htm – whether it’s still there, I don’t know. I wonder if it’s true? Probably not…. 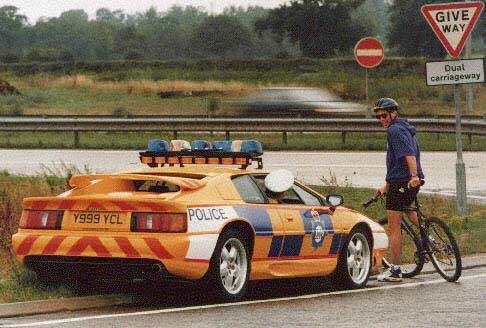 Has the guy on the bike put the policeman’s hat on for him? I’m sure there isn’t enough headroom in the car!